When I moved in with my girlfriend, I warned her that I was hooking my PS3 up to our TV. She said “that’s fine as long as you don’t mind me hogging it!” I soon realized that she was joking and that the last console she’d played on was the Sega GameGear. Still, that statement stuck with me. Last winter, I started gushing about how great this game Don’t Starve was. Because I often played on my Vita.while we were watching TV, she had plenty of opportunities to glance over to see what was so great about these little 2D sprites waddling through forests and cobblestone paths. I eventually convinced her to chop down a few trees herself, guiding her through the process by looking over her shoulder. Within minutes, she was hooked. Shadow of Mordor was definitely not a game I was planning on buying. I had played Assassin’s Creed and I had played the Arkham games; there was no reason for me to play a game that conflated the two. But, as time went on and reviews rolled in, my interest started to grow, especially since no one seemed to be able to really pinpoint anything unique about the game despite loving it so much. The Nemesis system was lauded at first as being something interesting that draws you in but people were really fawning over the minute-to-minute gameplay loop. I didn’t get it. So it’s parkour from AC and fighting from Arkham Asylum? It’s been done! Turns out there was more to it than that. I tried playing Minecraft years ago when I was still in university but was discouraged by my computer not being able to handle it. Now that the game has been ported to every system under the sun, I figured it was time to give it a real try. I picked up the PS3 and Vita version of the game and, not surprisingly, was immediately hooked. The slow but steady progress of mining for blocks in order to build basically anything was really addictive and, if you’ve got the time and the brain for it, really satisfying. Ultimately, what it reminds me of most is my childhood experience with Lego and all the possibilities that came with it. I recently had the chance to sit down with my girlfriend and my brother to play a local multiplayer game that’s been sitting on my PS3 for ages: Sportsfriends. The game consists of four “minigames” that center around the physicality of the console experience. What do I mean by “physicality”? Well, I’ve always been a big fan of finding new ways to use controllers, and Sportsfriends scratches that itch in a big way. Most of the games find creative ways to involve you in managing the space that you’re playing in (the literal space, not the virtual space) which is something I can definitely get behind. A lot of first-person shooters claim that they offer two ways to complete every mission: stealthily or with a full frontal assault. Unfortunately, a lot of games fall flat in that regard, or if they DO manage to have some sort of noticeable ability to assassinate or avoid enemies, the reward is the same as when you just unload on them (i.e. enemies are now dead or you got to the goal). I’ve mentioned before how much I loved Final Fantasy as a kid. I still love it as a concept but something I’m having to come to terms with as an adult is the insane amount of responsibility I now have to things that aren’t video games and how that can and does effect my relationship with complicated games like Final Fantasy and JRPGs in general. To be perfectly honest, I wasn’t even aware that “Western RPG” was even a term, but when I saw which games fell under that category, The Stick of Truth included, things started to click and I began to think of my RPG experiences in terms of “from here” and “from there”. What I’m learning is that the more games I play “from here,” the more satisfying my experiences are; the more I try to get into JRPGs, though, the easier it is for my frustration to force me to stop playing. When I think about the Batman villain Mr. 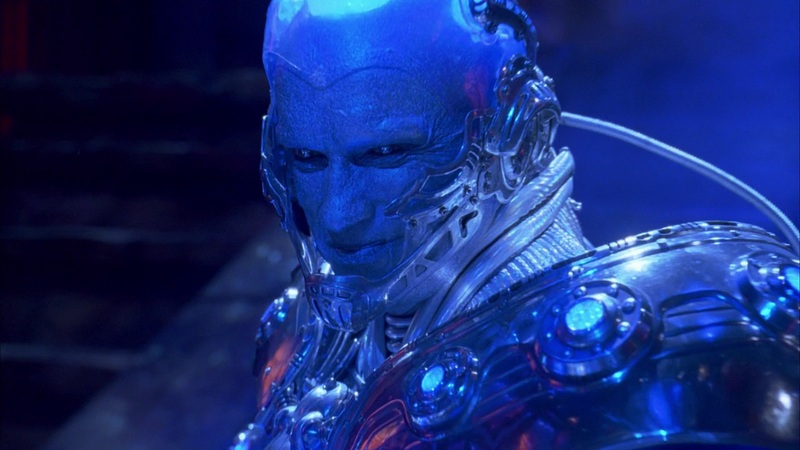 Freeze nowadays, I’m thankful to say that my mind doesn’t immediately go to a frosted-faced Arnold Schwarzenegger. Instead, I now think of that amazing fight in Batman: Arkham City. 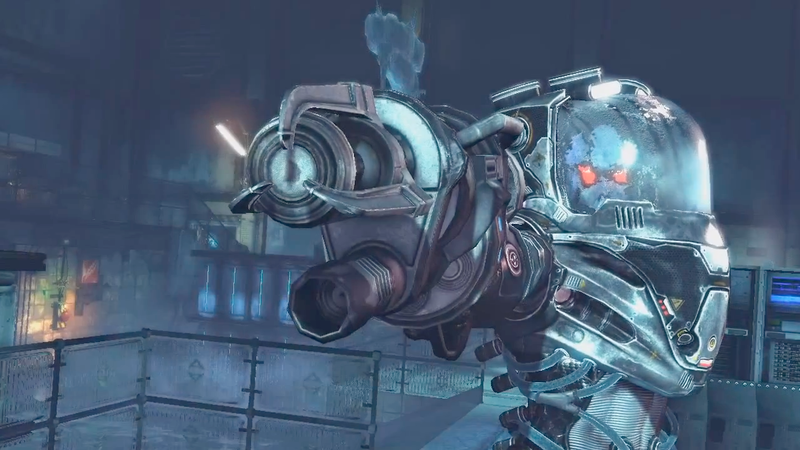 That fight stands out as one of the best boss fights I’ve ever encountered in a video game for two simple reasons: pacing and Mr. Freeze’s adaptive AI. There’s a lot I learned about how to design a boss fight just from this five minute battle. 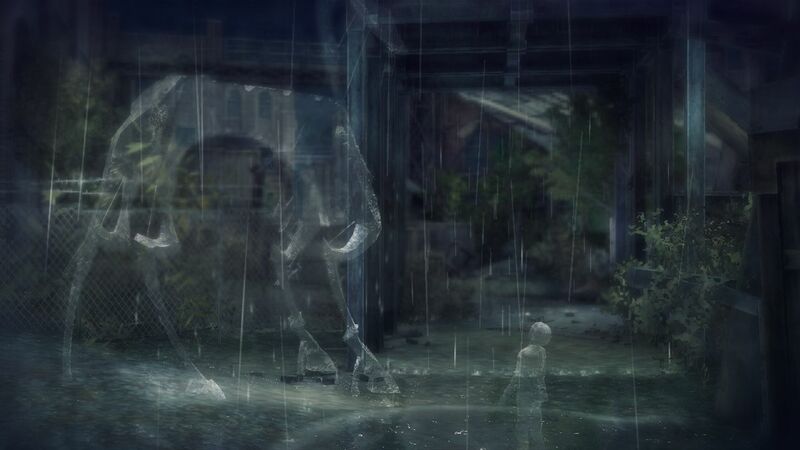 Okay, I realize that I just wrote about Rain in my last post, but I’ve been thinking about it a bit more and now I’ve got more to say, namely about the visuals. Like I described in the last post, the central mechanic for the main character in this game is sort of a “forced” visibility caused by falling rain. Therefore, when you’re not being rained on, you’re invisible. Pretty simple, but the game makes you take that knowledge to the next level, presenting you with puzzles that push the mechanic to the limit. The effect is used to hide from monsters–also “invisible”–who are constantly looking to kill anything that’s not them for some unknown reason (again, I’m not done the game yet). Of course, things like getting the cuffs of your pants muddy will make you visible even when you’re not being rained on, so there’s that to watch out for, too. This effect, which is basically the whole reason this game is good, reminds me a lot of visual effects that I’m starting to see more and more of. I recently got around to hotseating a game that’s been sitting on my PS3 for a while now: “Rain” by Japanese studios, Aquire and SCE Japan. It’s basically a puzzle/platformer where the central mechanic of the game is that the player’s character can’t be seen unless there’s rain falling on his head. When you picture it, it’s actually easier to imagine it as you being invisible but still having a physical form. This means that, since it’s always raining throughout the entire game (so far: I’m not done yet), your form is “outlined” by the rain bouncing off your body. If you still don’t get it, watch this video that Playstation posted of “Rain” gameplay.